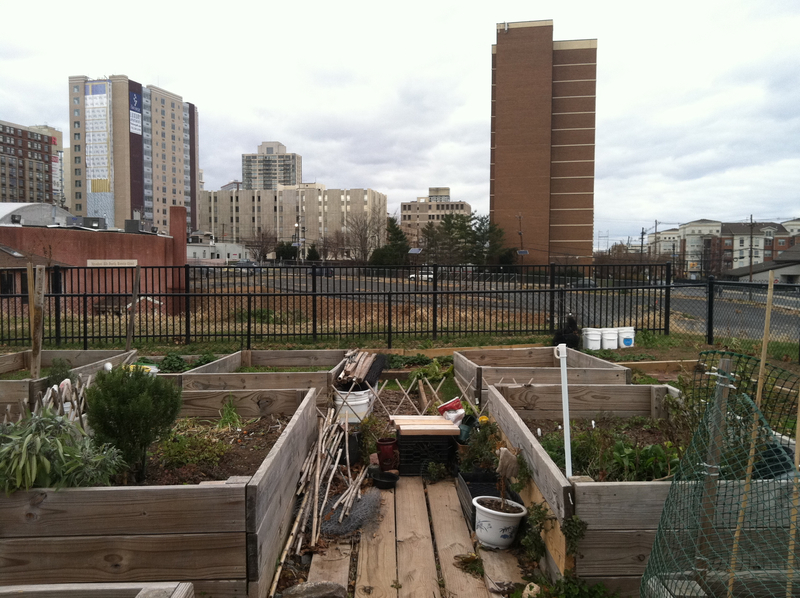 One option for gardening and small-scale intensive farming is building raised garden beds. 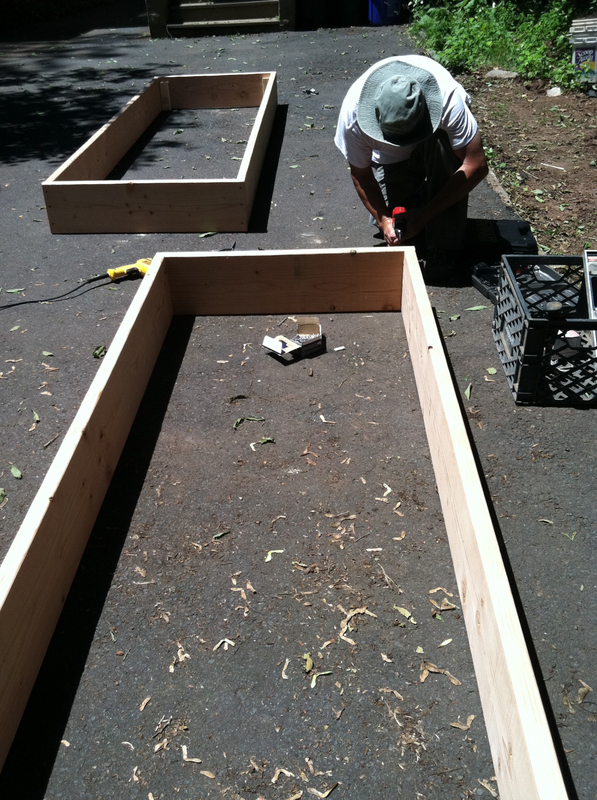 It’s not a difficult process, it’s fun to build and you can get creative with the size and shape of the beds. 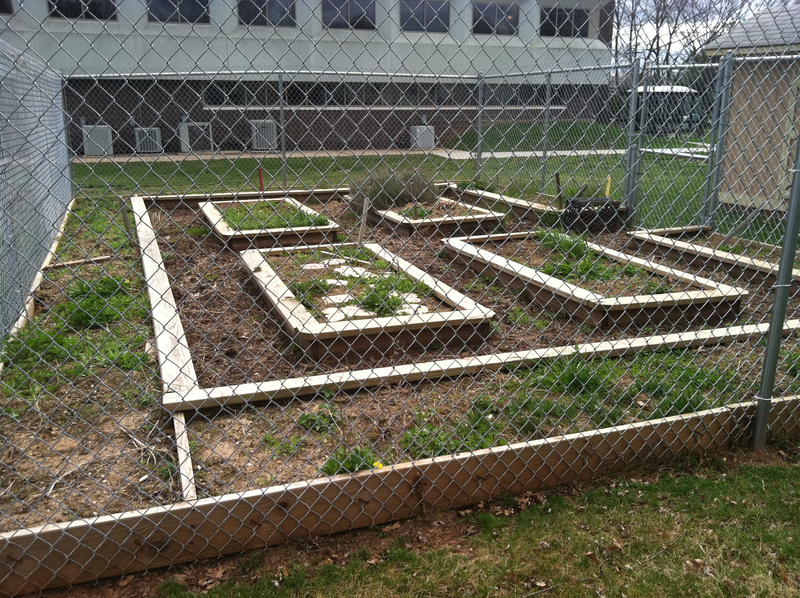 Raised beds are an easy solution to poor soil. Once built, you can add new soil, integrating organic matter and compost. It is easier to monitor and work with soil conditions in a contained area. They have much better drainage for those who have poor drainage on their land. Raised beds can extend the growing season. Soils in a raised bed warm earlier in the spring, allowing you to work the soil and plant cool weather crops sooner. 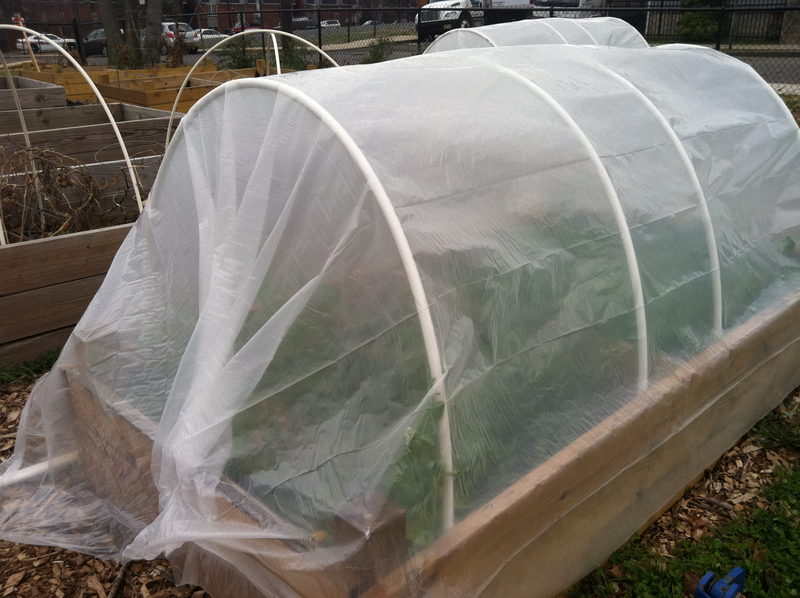 You can also cover them in the fall with hoophouses or build coldframe/mini-greenhouse covers to fit the dimensions of your raised beds. They are more accessible than traditional gardens. Raised beds can be custom designed for any height and even raised on a stand above the ground, to be accessible to people with disabilities, arthritis, knee problems and any other physical limitation that keeps them from bending or kneeling easily. 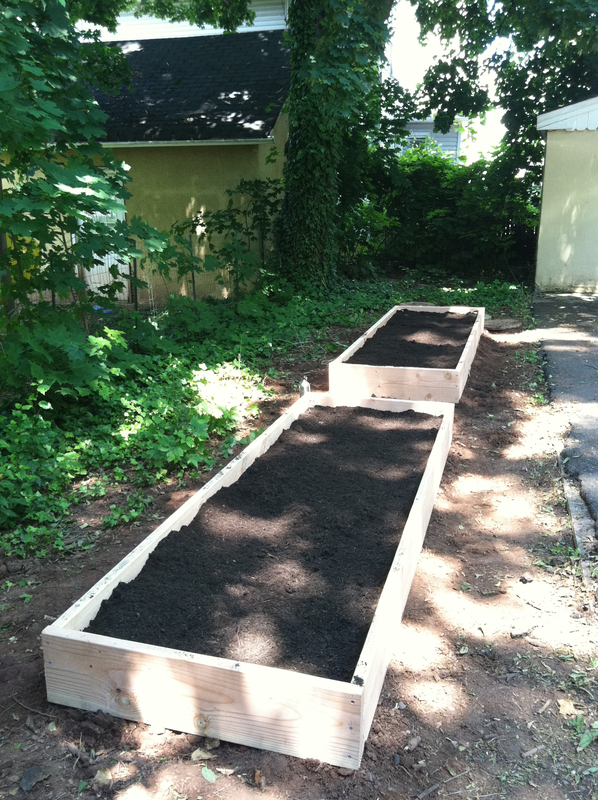 Once you complete the initial construction, maintaining a raised bed is easier than traditional garden space. They are portable. If the site you select for your raised bed doesn’t work out, you can always move it! When you custom design and build your own raised beds instead of purchasing pre-fabricated ones, you can adjust the dimensions to fit your space and gardening needs. You can even get creative with the design. It’s also much cheaper. Some prefabricated raised beds advertised online cost over $200 for a single 4×8’ bed. It’s possible to get materials for a much lower cost (or even free if you join and post a wanted ad on Freecycle). Lumber – we have used both new and recycled lumber to build beds. The important thing is that you use wood that is not chemical or pressure treated. The last thing you want is toxins leaching into your soil, plants and food! Untreated cedar resists rotting because it is naturally high in oil content. You can also use untreated pine, douglas fir or other untreated lumber. If you want you can protect it with linseed oil applications. Other alternatives include recycled composite plastic lumber, haybales, woven bamboo, bricks, steel and concrete blocks. Raíces co-director Francisco G. Gómez constructing raised beds. 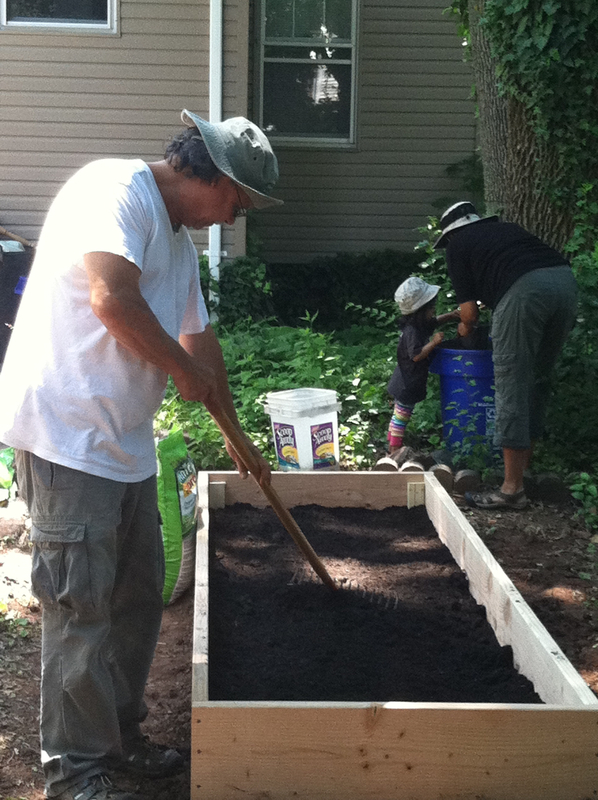 Chose a spot, clear and level it off.Design your raised bed with your custom dimensions. Cut wood (if you’re purchasing lumber and you know the dimensions ahead of time, usually the store or lumber yard will cut it for you). Assemble frame with wood screws. Place on selected site to test level, continue to level off as needed. Screw 1×1 inch wooden posts to sides in all four corners to add stability. Additional posts can be driven into the ground and screwed to the sides in the center of the raised bed to help prevent buckling. This is especially helpful for beds that are over 6’ long. If you are placing your raised bed on a spot with a lot of vegetation, grass or weeds, you can line the bottom of the bed with a few layers of newspaper before filling with soil. Fill with soil. You can use soil from your own yard, you can buy soil or your can use a little of both. Townships often provide residents with compost, which can also be added to the raised bed. Some may even provide topsoil, so check with your town or county public works before buying any soil. Plant your seeds and seedlings and enjoy your new garden! Some people don’t like raised bed, they like regular garden. That’s pretty cool until I realized that I can do more with raised bed gardening.